The average transit time through just the large intestine (colon) is called delayed colon transit and is 40 hours on average. But the healthy range of colon transit is according to studies 10-59 hours. 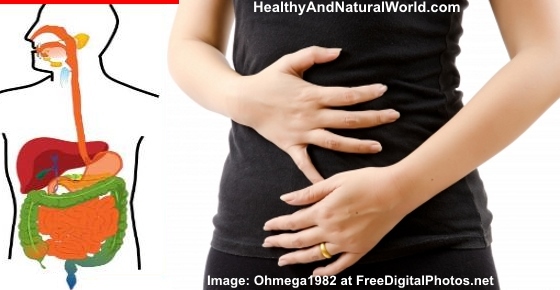 According to the NHS, gastroparesis is chronic digestive issue that causes a slow digestion. If you suffer from gastroparesis food will sit in your stomach for a lot longer time than usual as it will pass through your stomach slowly than usual. Gastroparesis happens as a result of a problem with the nerves and muscles controlling the emptying of the stomach. This causes the stomach a lot longer to empty its content so food will sit in the stomach for much longer than usual. Some of the symptoms of gastroparesis include loss of appetite, heartburn, abdominal bleeding, stomach spasms, upper abdomen pain and weight loss. You may be surprised but stress can cause food to sit longer in your stomach and can also cause poor digestion. You don’t need a doctor to know that stress plays a major role in the health of our gut (and you can read here more on how stress affects your body in general). Studies found that the biochemical changes that occur when we are stressed have significant and immediate impact on our gut function and may affect the digestion of food. When the brain feels very stressed, it releases various hormones (such as cortisol) that cause changes to the digestive system in the short term, such as lack of appetite, heartburn, nausea, diarrhea and stomach pain. In the long term, prolonged stress can worsen chronic diseases such as irritable bowel syndrome (IBS) and heartburn. Stress not only affects existing chronic diseases, but may also lead to the development of a variety of gastrointestinal diseases such as gastroesophageal reflux disease (GERD), peptic ulcer disease, inflammatory bowel disease (IBD), and even food allergies. Stress can cause inflammation of the gastrointestinal system, and makes you more susceptible to infection. A healthy lifestyle should include stress reduction techniques that will improve not only your digestive system, but your overall well-being. To help you better cope with stress, read my article about 14 Effective Natural Remedies for Stress and Anxiety and 7 Simple and Effective Meditation Techniques to Reduce Stress. If you have enzyme deficiency food will not get digested properly. There are many factors that can affect your body’s ability to produce a high enough enzyme level to maintain good health. These can be: unhealthy diet, air pollution, emotional stress, lack of sleep and more. Enzyme deficiency is the root of many digestion problems in our society. Your digestive enzymes, which are mostly produced in your pancreas, help you break down the food into nutrients so that your body can absorb them. Enzyme deficiency results in poor or delayed digestion and poor nutrient absorption. Enzyme deficiency negatively affects your digestive system and it could cause a variety of gastrointestinal problems, including: constipation, bloating, cramping and heartburn. We get many enzymes from the foods we eat, especially raw foods that directly help with our digestive process. To maintain a healthy enzyme levels it’s important to eat raw foods that are enzyme-rich. Consuming them helps your body’s to produce its own enzymes and reduces the burden on your body to produce the enzymes it needs. In addition to raw foods, read my article how to make digestive enzyme detox smoothie which contains digestive enzymes that help to ease the digestion process. The food that you eat may not get digested properly if you suffer from magnesium deficiency. Magnesium deficiency causes, among many other things, constipation and digestive-related disorders including poor digestion. Your body uses magnesium to aid in the digestion process. Without magnesium, your body cannot properly digest foods, as it activates enzymes that let the body digest and break down food into smaller pieces for energy. Magnesium also works to produce and transport energy during digestion. You may not get enough magnesium in your diet. Having the right amount of magnesium in your body is important to your digestive and overall health. Make sure to include magnesium-rich foods, such as dark green leafy vegetables, nuts, seeds, whole grains, beans, lentils, avocados, bananas and dried fruits. Magnesium is also available as a supplement, but you should not take magnesium supplement without a physician’s approval as it can interfere with current medications that you take. Consuming adequate amount of magnesium is also one of the 70 habits featured in my e-book 70 Powerful Habits For A Great Health which will guide you how to take positive steps to improve your wellness and overall health. Our intestinal tract is full of various species of bacteria and yeasts that help digestion. This good bacteria kill harmful and pathogenic infections as well as helping to produce many vitamins and other chemical substances needed for our health. other harmful pathogens to multiply in the intestine. This affects the digestion of food, and can cause many other symptoms, since the pathogens create toxins that are absorbed into the body. The causes for intestinal flora imbalance can be due to illnesses, improper diet, antibiotic use, other medications, food chemicals and more. In these cases you may want to consider taking probiotics. You can refer to my article about the health benefits of probiotics. You can also eat live-culture yogurt that often provides plenty of probiotics and is the simplest way to get them. You can also make your own kefir which is excellent for gut health. The presence of toxic metals, such as too much mercury, aluminum, cadmium, arsenic, lead and nickel, has a damaging effect on the intestinal flora for some people. These metals flood the environment and can be found in cookware, household cleaners, cosmetics, air pollution, insecticides, herbicides and smoking that causes cadmium poisoning. They invade our body and cause or contribute to a long list of diseases. To help fight heavy metal toxicity you can use clay to detox your body, or consume foods rich in pectin fibers (such as apples). Those fibers bind cholesterol and heavy metals to cleanse blood and intestines. Cilantro or coriander may also help your body to get rid of mercury and other heavy metals that end up in your bloodstream. Chlorophyll is the green color in green leaves, fruits and vegetables. But it is not just a pigment – it may bind with the toxins and free radicals and turns them into neutral materials. Studies have shown that chlorophyll helps in cleaning heavy metals that tend to accumulate in our body in different places, and has anti cancer properties that specifically affect the liver. Read more about it in my article how to detoxify your body using chlorophyll. Also the green algae chlorella has been shown to help remove heavy metals, such as cadmium and mercury, pesticides and industrial pollutants from the body, thus helping to detoxify it. You can also prepare herbal infusion from red clover blossoms that also cleanse heavy metals and chemical toxicity, include those caused by the use of drugs. You can also prepare at home this heavy metal detox smoothie. Read this related article: Here’s Why You Have a Greasy Stool and What to Do about It. I have had intestinal Candida for over 7 years. I have so many books on this subject I could open a store. The restrictions of foods are difficult to follow almost impossible. The Candidas is due to all the antibiotics I had to take for another problem of UTI. I AM SO fatigue with all of this. Any suggestions. Thank you.JF. I would suggest you try naturopathy. Get a good probiotic! It has made the biggest difference for me. I had irritable bladder and IBS problems and thought I was having constant UTI’s for years but it wasn’t. I started taking it for the IBS but it totally over months resolved my bladder problems. I have been pain free for a few yrs now. I feel for you. I know how painful it is. Good luck. I take one 200 mg Levothyroxine everyday but instead of feeling energetic I feel more fatigue. I have Psoriasis on the scalp and very few patches in other parts of the body (Elbows, etc). My fingernails have like very tiny dots and some others like straight lines one very close to each other. There are certain foods and multi vitamins/minerals which I’m taking (Diabetes Support Packs), with a bottle of Garlic Pills (One a day), Calcium, Magnesium & Zinc (One a day) and Vitamin D3 2,000 I.U (Two a day). My doctor told me I’m Diabetic, but I disagree because when I feel weird and I check my blood sugar level it’s usually like 64, 76, or more depending when I eat (Sometimes 176), anyway, the sugar is the least of my concerns. My concern is why my hand joints become swollen making it difficult to open and closed my hands. I also have pain in both knees. Doctor said I need to lose weight (I weight 285 lbs). Lately I’ve been getting sudden heart beats or and palpitations and on two occasion a sudden extremely painfull chest pain as if I were stroke with a hammer and had problem breathing, along with a head ache and feeling nauseated. My left arm was like a mysterious cramp with mild pain, but the last thing I know everything went pitch black and a few hours later I woke up feeling tired, my lips were numb and both legs and feet swollen and I couldn’t feel them, but once I started to move it felt like ants crawling all over. I felt weak the entire day and called work sick. I’m a 49 year old male, overweight (I confess I love McDonald’s), smoked for 25 years but quit about 8 moths ago. My asthma improved, but I still get every now and then bronchitis (I take Sunbicort and Proventil). Out of all said, I want to lose weight and cured my psoriasis for once and for all. Before I forget; Someone told me that my digestive system is not absorbing food like it should after taking a look at my fingernails. Any suggestions?. Hi Daniel, I don’t feel comfortable to give specific advice because I’m not a doctor, especially in your situation where you have multiple health issues and take medications. You really need a professional medical practitioner that will look at your whole situation and review your case. I apologize I cannot be of any help. I don’t want to cause you more harm than good.